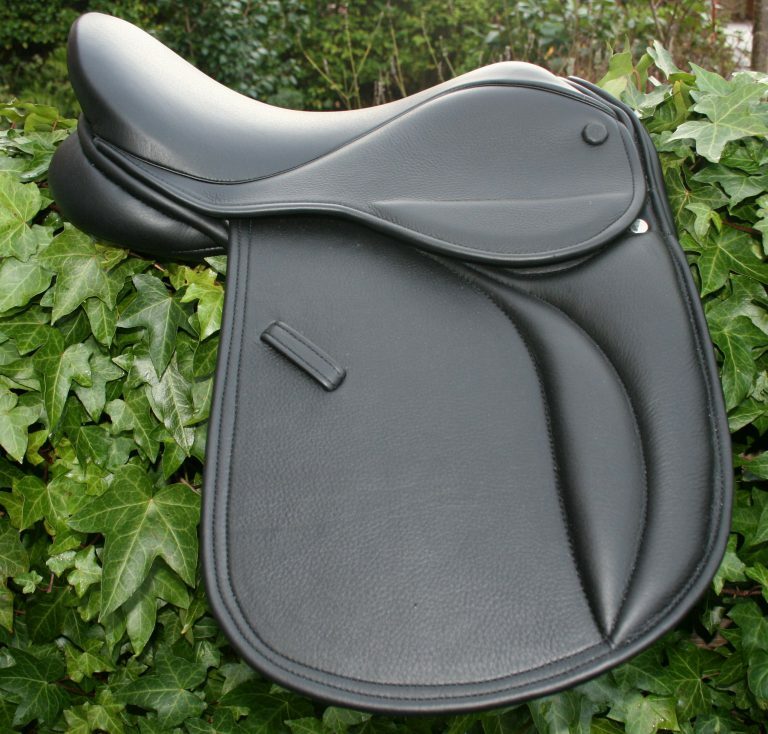 The Yin-Yang Pony Show Saddle (please click main photo to view more photographs) Available in all sizes from 13″ to 15.5″ £749 & 16″ – 20″ £799) Inc’ half sizes Specialist Show Saddle, Ideal for showing at the highest level.This modern styled saddle is suitable for high level showing but also has the comfort and knee support for everyday riding. This saddle is also available on request with a thigh pad on the top flap for extra security and comfort. 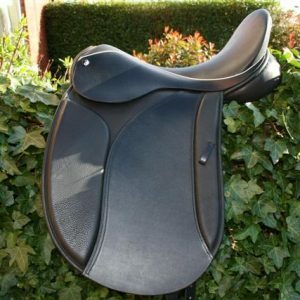 Point and balance straps added for wider horses and ponies, but any combination can be added, just ask! 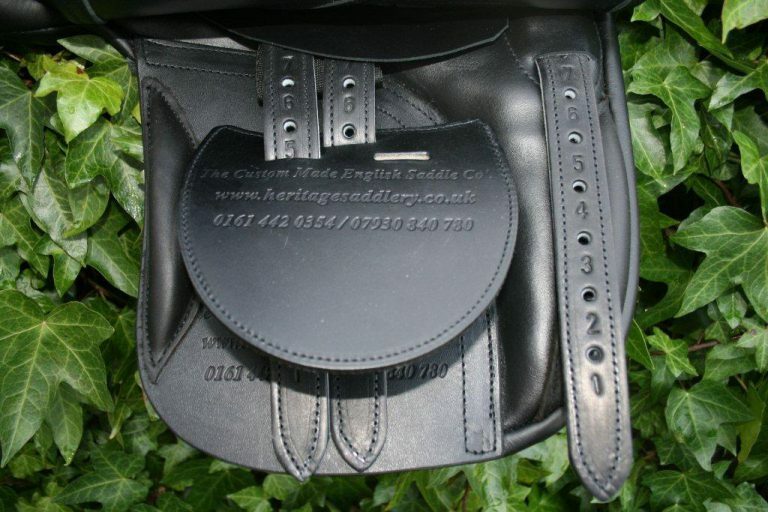 A stunning and very popular, 100% English saddle Custom made by Heritage Bespoke Saddles. 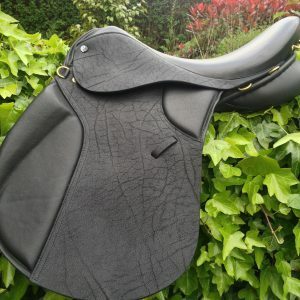 Sharon Mills sent a message using the contact form…..
Just a quick note to let you know how pleased my daughter and I am with our new show saddle you made to our specific requirements. 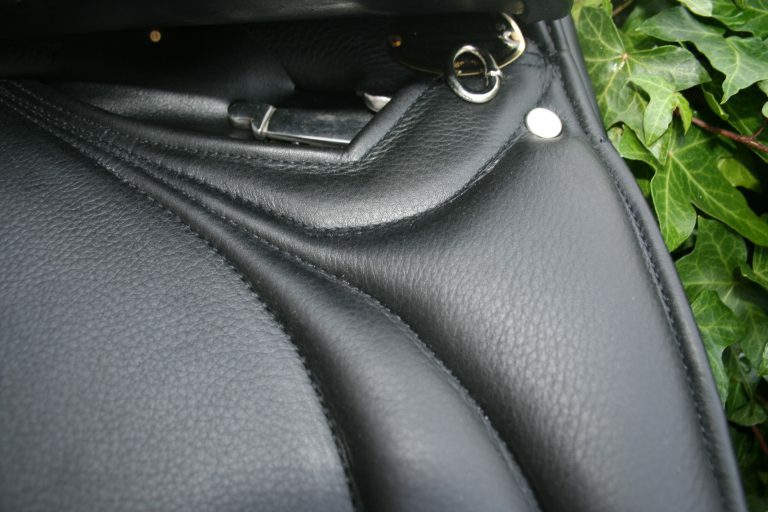 It fits perfectly and really shows off her big shoulder and helps with her big movement. 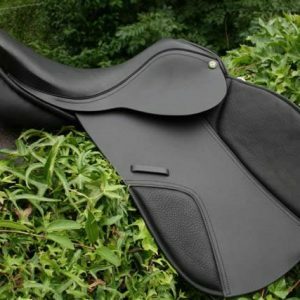 My daughter has commented on how comfy it is and that it is more comfortable than the Ideal Ramsay show saddle which we use on our other horse! 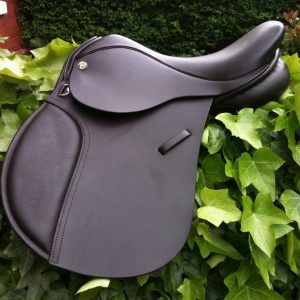 If we ever need another saddle, we will be coming back to you! Thankyou! Sharon Mills.